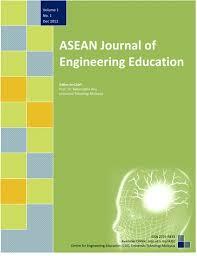 The ASEAN Journal of Engineering Education (AJEE) (ISSN: 2231-9433) welcomes papers that bridge the world of theory and practice in engineering education. It considers manuscripts focusing on theory as well as those focusing on practice, assessment and innovation in engineering education strategies. There are two sections in the journal where the first section focuses on rigorous research on engineering education, while the second section includes papers that offer scholarly experience sharing on the practice and innovation in engineering education strategies. Engineering Education comprises research areas of epistemology, teaching and learning, assessment, curriculum, accreditation, first-year experience, talent grooming from school level and others that can further improve engineering education to meet the challenges of the 21st century. AJEE employs a double blind, peer reviewed process. All papers must be submitted to p-fatin@utm.my in A4 sized Microsoft Word document (.doc/.docs) in Times new roman, 12pt, 1.5 spacing, justified, one column, and APA referencing style. Links to the published research papers in AJEE can be found in the links provided. Feel free to browse and download the papers that are of your interest.